The Red Sox have been finding out that playing the role of spoiler fits them just well. They've won 3 out of their last 4 against the two New York teams, currently playoff bound, and have had some really interesting/fun games for fans to watch. Last night once again, the bullpen for the Sox struggled to produce a clean outing and was almost knocked out by a Didi Gregorius with a grand slam in the 9th. Now that September is here, the Yankees are starting to scoreboard watch and pay attention to the Blue Jays, who are ahead of them in the division, which may cost them a game or two like it did last night when they don't take the Red Sox seriously as a spoiler. 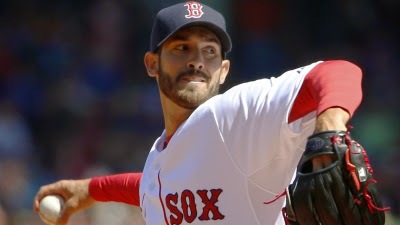 Tonight, the Red Sox will turn to Rick Porcello (6-11 5.47) as they try to win another series and keep their momentum they created in August going forward. The team won a season high 15 games in the month of August and find themselves 7 1/2 games back from the 2nd Wild Card spot with a bunch more games against the AL East. With the exception of the Phillies who come into town next and the Indians as their final opponent of the season, every other team they will face will be right in front of them. The Yankees will counter with Michael Pineda (9-8 4.19) who has lost his last 3 starts and also found himself on the DL with a forearm strain.